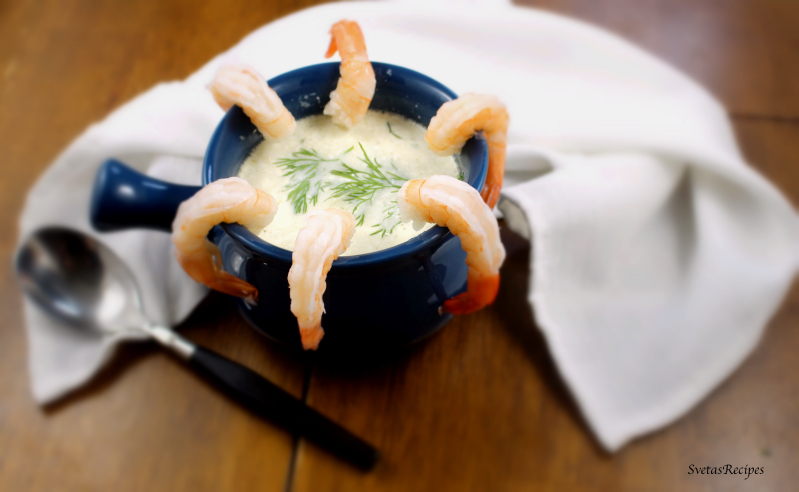 Soup with shrimps is a first class meal and taste very well, it is also dazzling. Its a very classic recipe coming from Europe and is admired by Europeans very much. Enjoy the recipe at svetasrecipes.com! 1.) Wash, peel and dry potatoes. 1.) 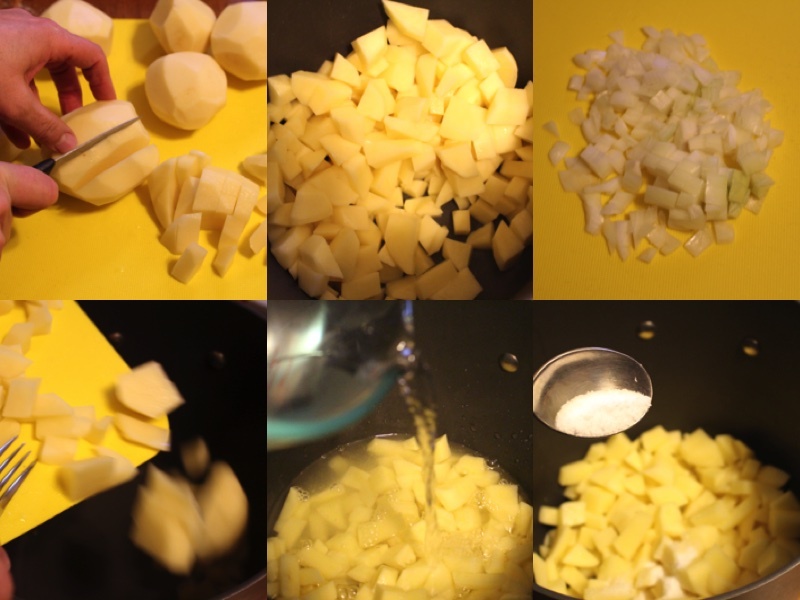 Cut potatoes into small cube shaped figures and add to a pot, also chop onions. Add water and salt to the pot. Cook for 20 min or until potatoes are tender. 2.) 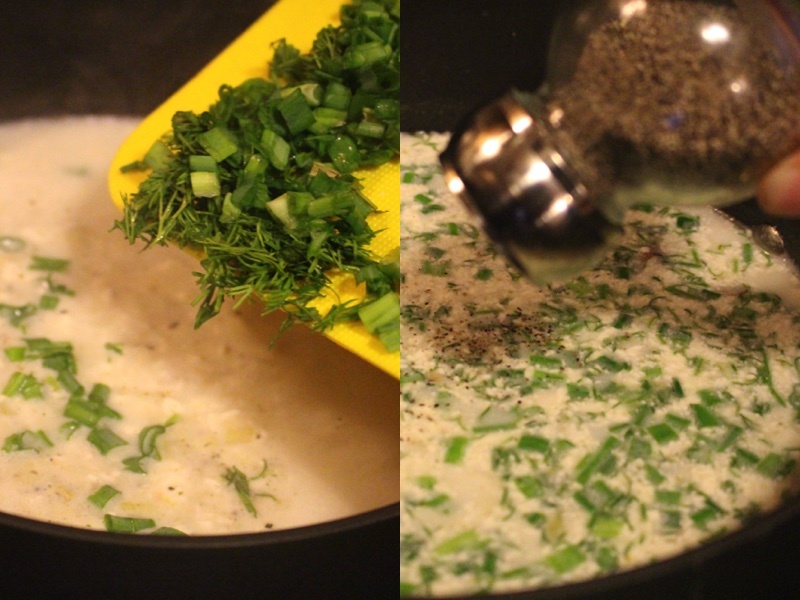 In a separate frying pan add onions and cheese cream, Fry and mix together until cheese cream melts. Peel the skins off of the shrimps. 3.) In a separate bowl combine heavy cream and water and add to the pot of potatoes. For seasoning add Mr dash Seasoning. 4.) 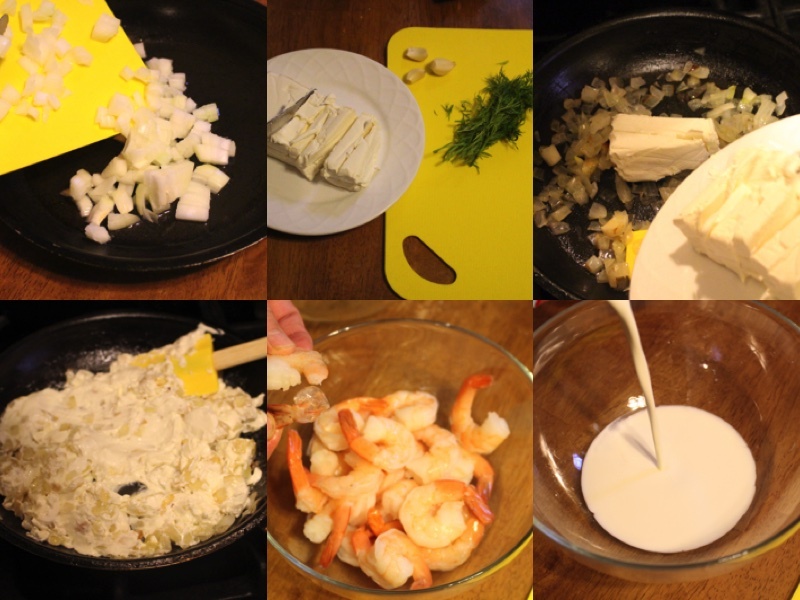 Next add the Cheese Cream mixture, crushed garlic, and shrimps. Bring soup to a boiling stage. Place In Serving Pot And Enjoy! Wash, peel and dry potatoes. Cut potatoes into small cub shaped figures and add to a pot, also chop onions. Add water and salt to the pot. Cook for 20 min or until potatoes are tender. In a separate frying pan add onions and cheese cream, Fry and mix together until cheese cream melts. Peel the skins off of the shrimps. 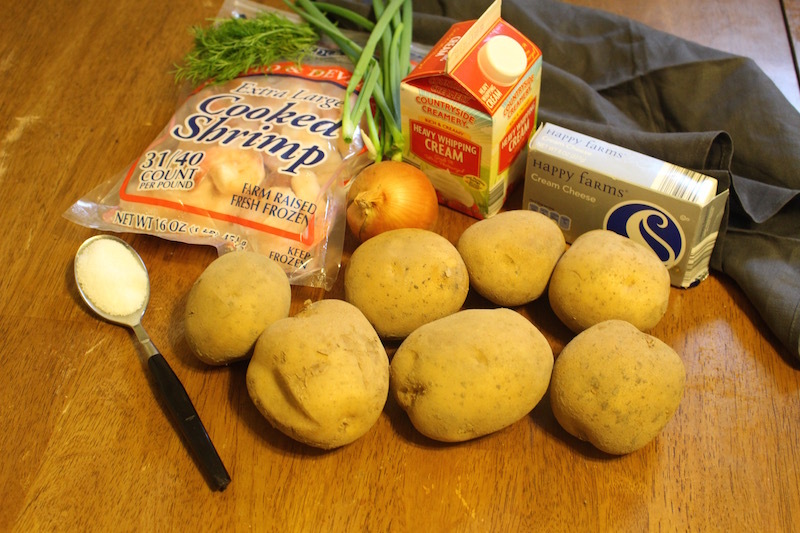 In a separate bowl combine heavy cream and water and add to the pot of potatoes. For seasoning add Mr dash Seasoning. 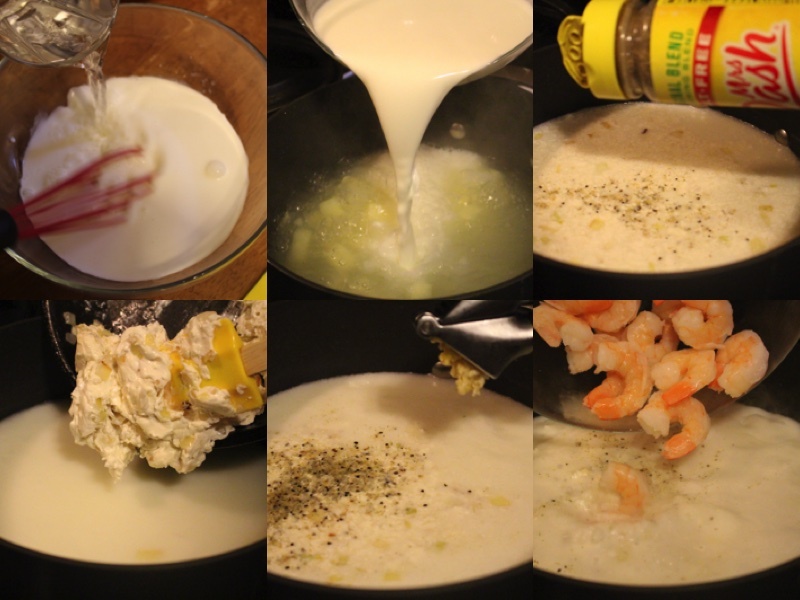 Next add the Cheese Cream mixture, crushed garlic, and shrimps. Bring soup to a boiling stage.